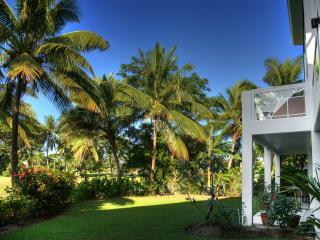 The Terraces Denarau Island is located on popular Denarau Island and is small Fijian resort that is big on service. The Terraces is an apartment resort that is conveniently situated opposite the 18 hole championship golf course. With just 41 fully furnished apartments that are serviced daily, guests are guaranteed a warm and friendly service. 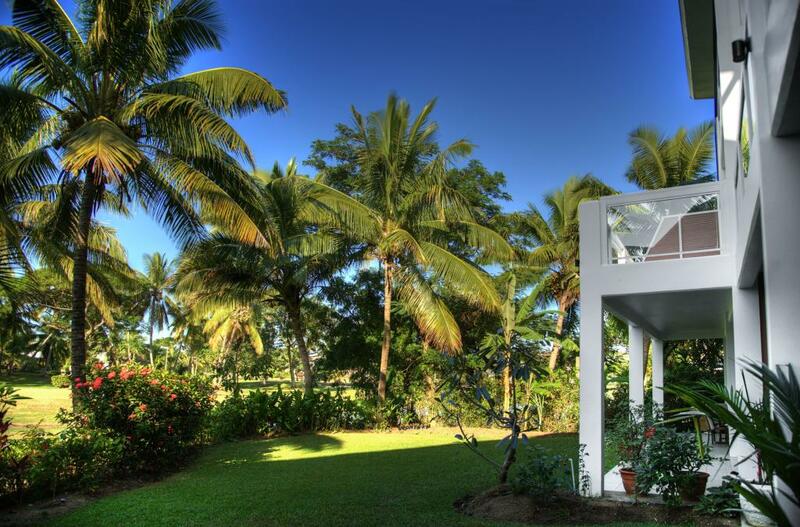 Spacious , modern air conditioned 1,2 & 3 bedroom apartments have great views over either the 25 metre swimming pool, the third hole of the championship Denarau Golf Course, or Nausori Highlands. The Fijian apartments feature full kitchen facilities, laundry, TV and much more and provide flexibility for the independent traveller wanting the home away from home experience. Other facilities include 25 metre lap/swimming pool, poolside cabana that serves breakfast and poolside menu. A grocery order form is also available so you can pre order your groceries prior to arrival. Apartments are spacious, modern, fully air conditioned and provide a relaxed environment with that home away from home experience. 1 Bedroom Apartment: Located on the ground floor offering views of the golf course, swimming pool and gardens. Bedding is 1 Queen Bed and a tilt away bed. Maximum room capacity is 3 Adults & Children. 2 Bedroom Apartment: Located on the first floor featuring views of the pool, gardens and golf course. Bedding is 1 King Bed and 1 Queen Bed OR 1 Queen Bed + 2 Single Beds plus a pullout sofabed. Maximum room capacity is 5 for Adults & Children. 3 Bedroom Apartment: Located on the first level and set over two separate levels with the kitchen and lounge are on one floor and the bedrooms on the upper level featuring views of the gardens, golf course and swimming pool. Bedding is 1 King Bed and 2 Queen Beds OR 2 Queen Beds + 2 Single Beds plus a pullout sofabed. Maximum room capacity is 7 Adults & Children. For families looking to save on dining out, guests can utilise the full kitchen facilities in their apartment and cater for themselves. Breakfast Packs and meat packs are available for order and can be delivered to individual apartments. Grocery order forms are available for pre ordering to be delivered to the room on the day of arrival. Fairway 3 Poolside Cafe: Enjoy breakfast and light snacks by the poolside throughout the day. Cardo's Restaurant: Is located at Denarau Marina and offers room service and dinner. 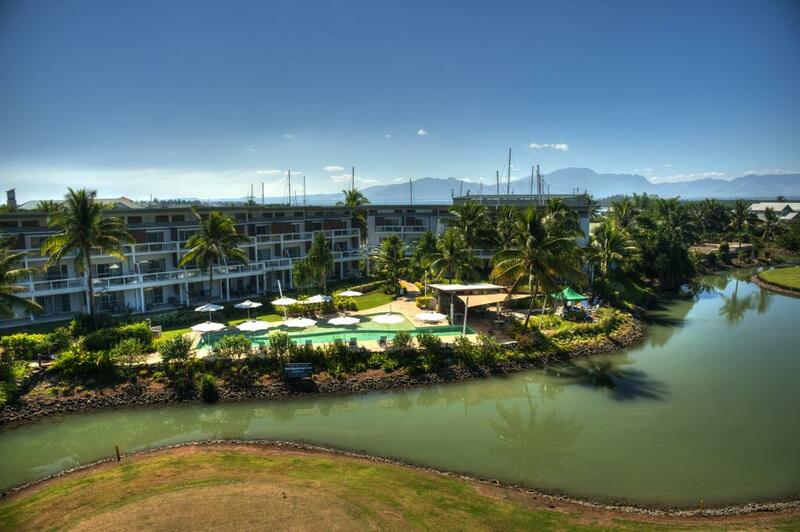 Terraces is located adjacent to the Denarau Golf & Racquet Club. 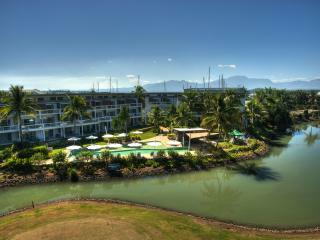 Denarau Golf & Racquet Club offers the finest facilities in the South Pacific Islands. An 18 hole Championship golf course and driving range dotted with target greens. Also features a large golf and tennis pro-shop, practice putting, chipping green, 6 manicured grass tennis courts, 4 all weather tennis courts, open-air bar, casual restaurant for lunch and dinner. The Terraces Apartment Resort offers a baby sitting service available on request. Children: 2 years and under are free of charge. Cots are available free of charge.